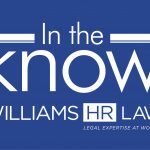 While employers are not obligated to provide health and insurance benefits to their employees, employers can still run into legal issues if the terms or administration of their benefits plans run afoul of human rights legislation. Employees will often challenge benefits providers with respect to the amounts they receive under the plan as well as when those benefits are offset by any similar benefits the employee receives from government programs. In a recent decision, Reilly v Ford Motor Company of Canada Limited, [Reilly] the Human Rights Tribunal of Ontario (“HRTO”) held that it was not discriminatory under the Ontario Human Rights Code (the “Code”) for an employer to offset payments made under its Long Term Disability (“LTD”) Plan by amounts an employee receives in Canada Pension Plan Disability (“CPPD”) Benefits for the same period. The applicant in Reilly had been employed by Ford for 28 years when he began to suffer from a severe depressive disorder. He went off work on a sick leave and was provided Short Term Disability (“STD”) benefits, and was eventually approved for LTD benefits through an employer-funded disability benefits plan which was managed by a third-party insurance provider. The employee also applied for CPPD benefits and was approved for receipt of those benefits. Under the parties’ collective agreement and the employer’s disability benefits plan, LTD benefits were to be set off by any amounts that employees received for CPPD as well as other incentives such as the employer’s pension plan or benefits received through the Workplace Safety and Insurance Board (“WSIB”). The set offs would be applied at a 1:1 ratio such that an employee would be receive the same total amount overall irrespective of whether or not they received benefits from other sources such as CPPD. The employee alleged that this practice was discriminatory as it constituted adverse treatment on the basis of his disability. The HRTO ultimately found in favour of the employer concluding that offsetting LTD payments by the amounts received through CPPD was not discriminatory. The HRTO found that the practice of setting off LTD payments by the amounts received through CPPD was not discriminatory because the offset did not result in the applicant receiving any less than another employee would on the basis of his disability. All employees were entitled to income replacement through the LTD program which assessed an employee’s entitlement based on their salary or wages, the hours they worked and their length of service with the company. The amounts deducted from the LTD payments were made up for in their entirety by the CPPD benefits the employees received from the government and accordingly, whether or not an employee received CPPD and had their LTD payments reduced, they would receive the same total amount and percentage of their income. The applicant argued that even if the effect of the set offs was not direct discrimination, it was nonetheless constructive or indirect discrimination. Constructive or indirect discrimination refers to a situation where an employer’s policy or practice is not discriminatory on its face but nevertheless has the effect of disadvantaging a protected group. The employee offered expert evidence that those who receive CPPD payments typically have more severe conditions than those employees who do not. The applicant argued that since his condition had greater costs, he should be entitled to larger benefit payments. The Vice Chair disagreed with the applicant and found that the LTD plan did not provide differential benefits for employees based on the nature and severity of their conditions but based on the factors mentioned above related to their employment (their salary, hours and length of service). The Vice Chair held that the Code does not require that an employer provide supplementary financial benefits to employees unable to work. The HRTO further found that the employer’s disability benefits plan did not draw a distinction as between employees who received CPPD and those who did not. The only difference between the groups was that one was more likely than the other to have mild to severe disabilities, but they were not treated any differently on that basis since both groups were entitled to the same level of income protection based on the same formula. This case serves as a reminder to employers that employee benefits are provided on a discretionary basis and that employees may not make demands to receive increased benefits where the benefits plan provides equal protections to employees and does not differentiate based on disability. Since the employer in Reilly had linked the benefits to income replacement, rather than payment for medical expenses, and the payments were calculated based on certain employment factors, the employer was protected from a claim of discrimination under the Code. Employers should take note of this decision and ensure that if they are providing their own self-funded benefits, that their policies clearly set out the purpose for the benefit and the means by which entitlements will be calculated.